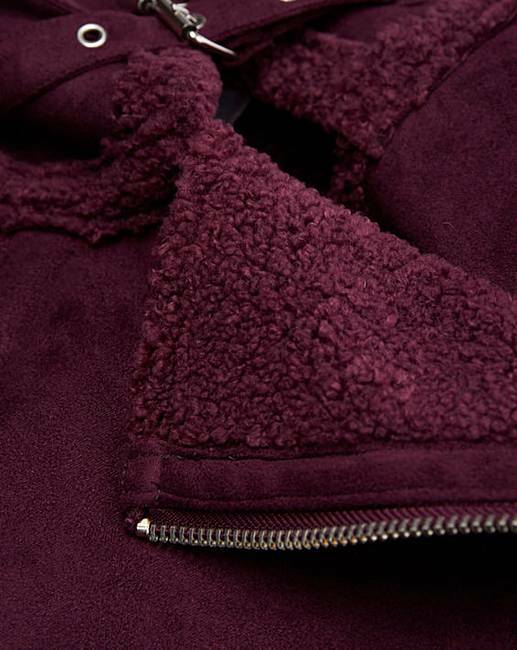 We can't get enough of our aviator jacket this season. 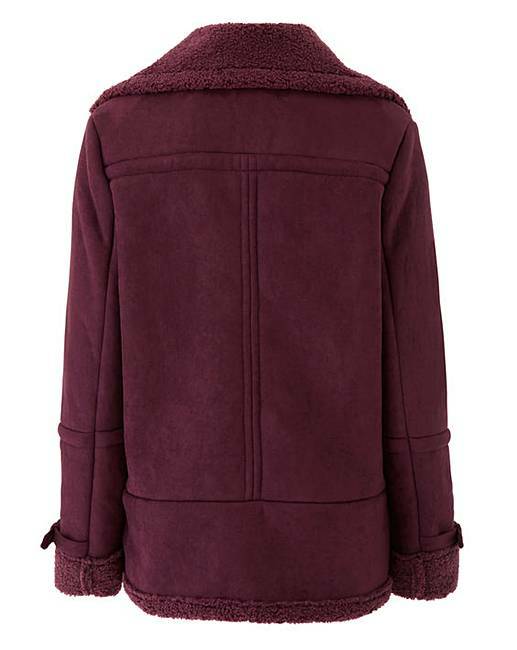 In a faux suede outer fabric, fully lined with a self coloured borg fabric, this will be sure to keep you warm on those chilly evenings. 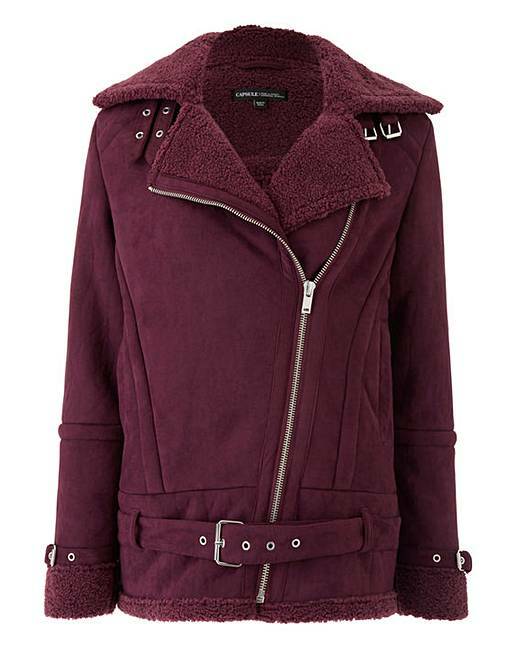 Features buckle detail to collar, waist and cuff. 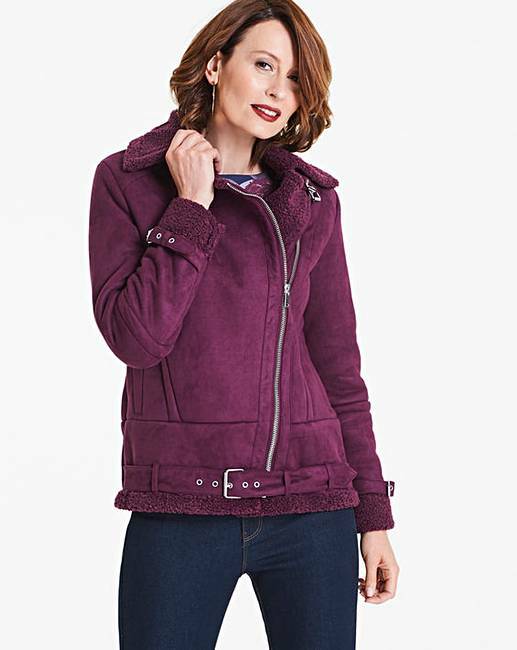 This aviator jacket is a key trend piece and will go with any outfit, dressed up or down. Style with a roll-neck jumper and skinny jeans for a chic casual look, or wear with a fabulous dress to transform into night time glam.